Established in 1987 and acting as Malta’s main Tourism and Hospitality educational institution, the Institute of Tourism Studies (ITS) offers a vast selection of programmes taught by dedicated lecturers, and in a newly relocated campus in Ħal Luqa, Malta which offers multiple specialised labs and kitchens to assure that students receive the essential theoretical and practical education required. 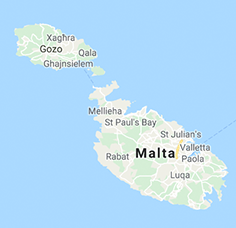 The Institute of Tourism Studies, located close to the Airport and with a campus in Qala, Gozo, currently offers programmes ranging from Foundation to Degree level, and is working on introducing Master programmes in the near future. Agreements with top international Universities and Institutions ascertain that students not only have the possibility to graduate from a reputable institute, but in the process also get the opportunity to study for a period of time within these institutions across Europe in order to obtain a wider experience and hone their skills to an international level. Among the many agreements ITS has secured are those with the highly esteemed Haaga-Helia University of Applied Sciences, Finland and Institut Paul Bocuse, France. ITS’ main responsibility is to provide the Tourism Sector, both local and International, with professional personnel who are able to guarantee an excellent standard of products and services within the Hospitality Industry. Students studying at the Institute of Tourism Studies are vast, with over 20% being foreigners coming from 37 different countries. Attesting to the success of the ITS training programmes is the fact that Institute of Tourism Studies graduates enjoy a 98% success rate of finding a job, both locally and internationally. As part of their studies, ITS students acquire theoretical knowledge and receive extensive hands on experience through the ITS teaching restaurants (Runway, a Culinary Journey, The Voyage Restaurant and Il-Menħir Restaurant) as well as and through a Local Industrial Trade Practice (LITP) and an International Internship Trade Practice (IITP).